What does Industry 4.0 mean? And why should you care! 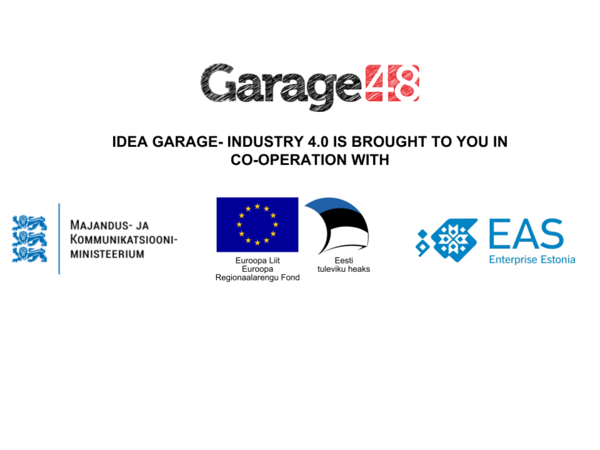 On the 16th of June Garage48 with the European Regional Development Fund, Enterprise Estonia and Ministry of Economic Affairs and Communications is organizing a day to gather some good ideas on how to bring the smart to the manufacturing enterprises and factories- Idea Garage- Industry 4.0. This is the first event of the Industry 4.0 series where the industry folks and IT specialists can mix their ideas together. Through guided brainstorming sessions and help from our business, tech and industry mentors we are hoping to see some interesting results by the end of the day! This blog post is meant to be a short intro about how industrial revolution really works and how the factories and manufacturing enterprises can benefit from it. The second industrial revolution came in the early 20th century when Henry Ford mastered the moving assembly line and ushered in an era of mass production. The third industrial revolution brought us computers and automation. Unfortunately, manufacturing has technologically stagnated with respect to advancements in cloud computing and the internet of things. The digital age offers both manufacturers and consumers many advantages, the whole industry is moving towards digitalisation. Industry 4.0 is the answer and the future. There is a need to advance the way we manufacture products to minimize waste while maximizing customization. This is made possible by “connected engineering”. Cyber-physical systems, the internet of things, and cloud computing allow for factories to become smarter. 1. Interoperability. The ability of cyber-physical systems, humans and digital factories to connect and communicate via the Internet. 2 Virtualization. Monitoring actual processes that take place in the physical factory to create virtual models or simulations. 3 Decentralization. The ability of systems within digital factories to make decisions on their own, with no human intervention. 4 Real-Time Capability. The gathering of data in each step of the process, including feedback and monitoring, in real time. This is in contrast to legacy systems that tend to “batch process” data, and produce reports that are hours or days old. 5 Service Orientation. Offering cyber-physical systems services via an Internet of Services. 6 Modularity. Adapting to changing circumstances and requirements. WHY IS INDUSTRY 4.0 IMPORTANT? -Increased competitiveness: For an industry that has relied heavily on low-wage regions for manufacturing cost reduction, investments in digital technology enable higher wage countries such as Germany to compete with offshore manufacturing hubs for the first time in a generation. This will enable manufacturers to select production locations according to technical capabilities and proximity to consumer demand, rather than decisions driven primarily by wages. -Increased productivity: With the increased use of automation and in AI systems that can make autonomous decisions, the output is projected to increase greatly. -Increased revenue and profitability: Although the implementation of Industry 4.0 is predicted to require heavy investment by manufacturers, the seamless integration of pre-production (i.e., engineering and design), production, and post-production (e.g., field performance and service) data is predicted to give rise to new revenue opportunities. Additionally, the closed-loop feedback created by this data integration is forecast to increase quality and reduce waste. -Manufacturing Process Optimization: M2M communications and integrated systems will drive greater collaboration among producers, suppliers, and other stakeholders along the value chain. -Seamless record-keeping and traceability. Unlike traditional relationships where feedback on products and services takes time to gather, the automated closed-feedback loop is an inherent component of Industry 4.0. The seamless record-keeping enabled by digital systems will speed traceability while limiting liabilities, warranty costs and recalls. Industry 4.0 is showing well how evolution in industry looks like graphically. With a complex manual production line, the Homburg plant of Bosch Rexroth (producing hydraulic valves for tractors and trucks) was struggling to meet customer demands. The company made the decision to introduce Industry 4.0 on one specific manual production line which was struggling to keep up with Bosch Rexroth’s commitment to quality, and the demands of its customer base. The core of the problem was that the line was manufacturing six main valve product types with 250 variants and 2,000 individual parts. Furthermore, the line had to be highly flexible, working with small batch sizes requiring assembly experts for each product family. The creation of an autonomous connected workspace has now transformed production, delivering significant improvements in quality, productivity. For Bosch Rexroth, the solution was to use the Industry 4.0 philosophies of connectivity, open standards and the virtual representation of information while keeping people, namely the assembly line employees, at the heart of the process. A UK based company recognized a void in the breakfast marketplace. The advent of cloud computing offered MyMuesli.co.uk the chance to provide customized organic breakfast options. 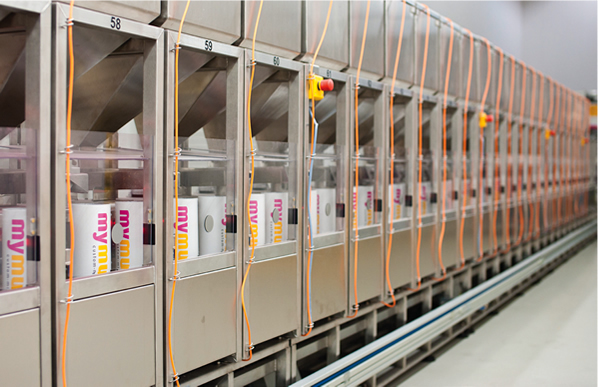 Their “smart factory” is able to offer consumers 566 quadrillion combinations of muesli mixes. This runs entirely contrary to the mass manufacture of identical products to enable an economy of scale, bringing an improved customer choice and transforming the way a food product is brought to market. An important aspect of this example is that it wasn’t an established food manufacturing company that began the business, but three guys who had an idea and then found the tools to make it happen. This event has filled up very quick, so at the current moment, we are looking for industry specialists only. If you are an IT specialist and would like to participate, please drop us a note @ mari@garage48.org. Only 6 industry specialist spots left! How to Prepare for the Hackathon!